Statis sets off with Dj Nikki & Kevin Mathurin for the cast and crew screening of a new feature film - Transhuman. the finished product for the first time. and head into Soho for a 5 hour long DJ set at infamous nightclub The Box! fluffy relaxation room before trying out their new cold craft brew! off into central London for an Instagram meet up that culminates by speeding along the Thames on a Jet Boat! and monuments before its back on dry land and time for a well earned drink! favourite empanadas in borough market......art and food, what could be better! the flowers and trees it was off down to the Maritime Museum and Naval Academy where he does a little exploring. Cutty Sark and then back to the shoot. to do a beautiful hand scripted version of the Beatnik name before jetting off for lunch up in Finsbury Park. queue outside before ordering the salted caramel flavour with salted caramel suace and a sprinkle of hazelnuts. Statis heads off past the colourful houses back home. then manage to catch up with co-founder of the awards Leon Mann to hear a bit more about why they were founded. Finally its a quick stop off at the infamous Brick lane bagel shop for a quick bite to eat before heading home. Statis sets off on a day of inspiration gathering for some new design and creative projects he needs to do research for. of what he has imbibed. USB Key, Canon EOS M, Camera Bag, 5 Canon Batteries, 128 GB SD Card, 32 GB SD Card, 4 AA Batteries, Ring Light & Business Cards. well done Statis packs his bag up again and sets off through Soho back to his car and off home for some well earned rest. that should be considered when planning how to design business cards, print business cards and make business cards in general. how this new print run compare to his previous 350gsm cards. renowned 20 inch pizzas......which did not fail to impress! home to work he stops by Whole Foods to grab some healthy food to make up for his earlier burger indiscretion. Statis heads off for a meeting in one of London's premier members clubs located on St Martins Lane in Covent Garden. happy as a pig in...........well you know what comes next. his all time favourite designer Dieter Braun which they have now located next to a shrine to Apple Mac and Johnathan Ives. and interior design of the building itself before a quick visit to the gift shop! 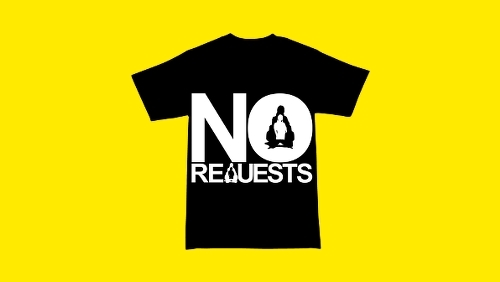 T-Shirt Adverts and Artwork Designs for the new Remix. Finally Statis dashes off to Covent Garden to DJ at the WUN magazine party being held at Library members club. down to Southwark. He is quickly ushered into his seat alongside fellow guest and musician Ajay Srivastav and the show begins. professes a love for Tamla Motown instead. After this amazing little interlude Statis heads off back to the studio! for his pics before the party kicked off. Statis sets off down to a warehouse in London Bridge for an event Beatnik have been working on for the previous few weeks. Legendary Damon and of course Dj Nikki & Statis. it's home time for the duo and the obligatory petrol station stop off before bed! demonstration Statis doesn't have time to hang around though and has to run off to the next event (after refueling with a Burrito of course). as the entire transport system seems to have come to a standstill.......something that is not a surprise in London any more though! With Beatnik being such huge dog lovers they jumped at the chance of being part of this event and went along to the art gallery to DJ. .....and Purdey made loads of new friends! Statis sets off around South East London on a location hunt for good graffiti walls to use as backdrops for photoshoots and videoshoots. is shut but he manages to find some other great urban and industrial looking backdrops before returning to Thierry Noir's Peckham wall! production on a remote island which is filmed beautifully by drones. had to go with vanilla as the other flavours had all sold out) and checks out a few of the other stalls before heading off to the Tate Modern for his next meeting. the evening and heading off home! Massive shout out to both of the guys for their stellar work and keep your eyes peeled in the Beatnik social media for all the shots! perform during the catwalk show. Hosted by June Sarpong the event was a massive success so Statis & Dj Nikki set off home! to resist salivating over their spectacular Salt Beef! Then its back home to get some well earned rest! he ends this vlog at this point and will continue this trouble shooting over the next few videos. Paz Dean, Julia Demetriou and of course the man of the night Wale himself. Then its back home to the studio to continue working! three great DJ sets at three great events so not all was lost, that Statis heads home for a well earned rest! turn. As the sun starts to set and the day draws to a close Statis puts an end to the days mission and heads back home to the studio. so if you get the chance to go definitely give it a go......you'll have loads of fun! before it was filled with the 67 replica medals that were won by British sports people in the Rio Olympics! Then its back to edit the footage and get it to LA! Warning: The food selection in this episode will make your mouth water........but before we get to that we start with Statis setting off early for a meeting. leave Hawker House and get back in the car and head home to work again! is calling but rewards himself later that night with a trip to Burger Bear at the Old Nun's Head......the burger trail continues. heading back home to the studio to work again. the dough and tomato sauce from scratch and then covers them in courgette, peppers, bresaola, tomatoes and buffalo mozarella. Delicious! before stumbling across comedian and Play writer Tim Minchin's Dream jar. This one is also strategically placed due to Tim's career in the theatre. Robert Burns. Statis finally manages then to head back home to start working on his own creations and jumps on the bus to South London. the crowds as quickly as possible and gets back on the trail after a quick dip into an art shop for supplies. geese and a rare view of a Heron. architects Caruso St John, Newport Street Gallery consists of 5 rooms that span 37,000 square feet, which includes a restaurant and shop. building Statis heads off on the bus back to his studio to put some of this inspiration to good use. out the track to DJ's, Blogger and Radio. he was planning and so ends the vlog there. avoid a car crash in their taxi! 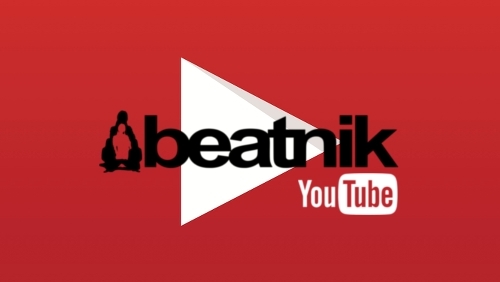 music is a perfect fit, another brilliant event in conjunction with the Beatnik crew! always both ladies smash up their respective performances and its such a wicked intimate place to showcase Kelis' amazing talents. Statis then pops backstage to say hello to Kelis and everyone in the band and then get caught up in the backstage shenanigans. They then finally manage to set off home. obsession with VW starting as a child with one particular Beetle and it's air-cooled aluminium engine that he helped a friend fix. beautiful cars in the video! Victoria Miro Art Gallery, situated between Old Street & Angel, to experience the Yayoi Kusama exhibition being held there. burger and fries before heading back to the studio. end of the night Nikki & Statis give their new found friend a lift home and set off down the motorway back to South London. Statis finally makes it home in the wee hours of the morning as the day is getting light and heads to bed. sun sets its time to get some takeaway Ramen from Tatsu and head to the apartment to get some work done. and even helicopters Statis then wanders up the coast through the thousands of people to the infamous Muscle Beach. He takes a break from the schedule to watch some Basketball before continuing onward. some food and some work done. makes his way for lunch at Blu Jam Cafe. He orders eggs florentine followed by their signature crunchy French Toast. As Statis sets off again to some meetings he spots Karrueche Tran on set with a film crew preparing to film her. are: Tesla, Bentley, Ferrari, Mercedes and a million others Statis didn't bother to film. It really is a car spotters paradise! leg of the journey into LA. watches them partake in their favourite past times of sparring, vocalising, sleeping, flipping sand and moulting. even including yoga on the beach. organic salted caramel ice cream and a look at a nice AMG Mercedes before setting off on the drive down Highway 1.
out in the next vlog! Statis stops off at the beautiful national reserve park on the Californian coast near Carmel called Point Lobos. tomato & basil soup. Feeling sated its then a quick stop over at the hotel before setting off to drive again. Statis decides to go off track and get a closer look at the falls by scrambling across the wet rocks. He continues and comes across two deer grazing in the field and stops to quietly film them for a while. valley with Half Dome and all the other places he has seen over the two day visit in their full splendour. quick burger for lunch in the most phenomenal surroundings. a normal summers day in the UK!!! to check out the views from that side. and Best Buy to grab some much needed storage space. in the coffee shop Jane is followed by a journey out to the Golden Gate Bridge. world.....Roam, an organic burger restaurant with the most sublime salted caramel milkshakes! infamous before speeding off home and getting back to work! and everyone had an amazing night and wouldn't leave when 3am came around! quick photo/video shoot around St Albans Cathedral with the Fuji X Pro 2 and the Canon Eos M.
After a hugely successful days shoot the pair jump back into the car and speed back into London. the full 30 minute show on the Talk Radio website. phone. Statis also gives us a quick view of his cactus family that he is trying not to kill! Statis sets off to make good use of his first Sunday morning location hunting for a video. London should be like that every day! from our monthly Good Times dance spectacular! amazing meal and don't forget to subscribe!! the after party which was filled with superstars from TV and music! Vas Morgan, Mario (Towie), Tino Kamal and many, many more! for the All Saints comeback tour and they head off to the club to start the night! of the things sitting on his desk that are invaluable to Beatnik when they are working & DJing! & business cards to send to print and the brand animation videos to be displayed in the club. 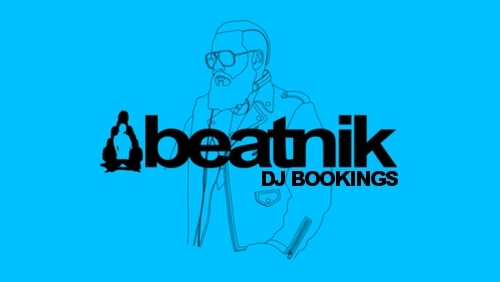 Beatnik are world renowned DJ & Production duo DJ Nikki & Statis. 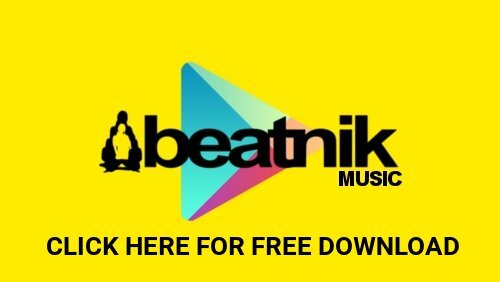 is taking the music industry by storm on both sides of the Atlantic!